The Time: 19.30 GMT Wednesday, June 4th 2014. The Place: London’s Science Museum. 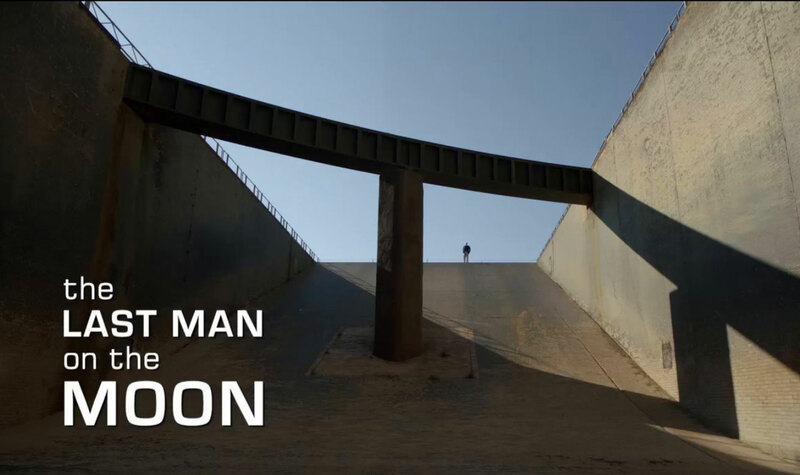 And so begins the documentary “The Last Man on the Moon”. This is a new film produced by UK based Mark Stewart Productions and directed by Mark Craig describing the life of Gene Cernan. Between 1969 and 1972 twelve Apollo astronauts walked on the Moon; Gene Cernan was the last of them. 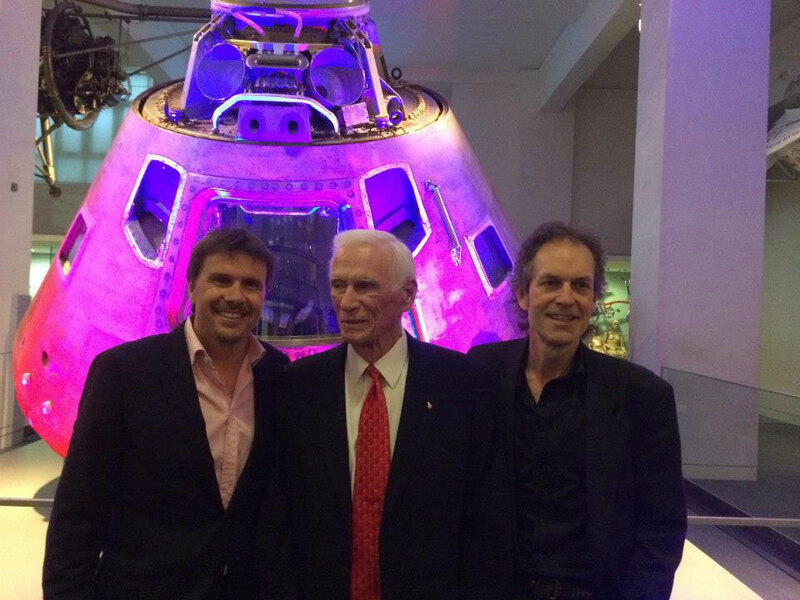 This special preview screening at London’s Science Museum celebrated those involved in producing and backing this remarkable film and the life of its subject, Gene Cernan. Based on the biography of the same name written by Don Davis with Cernan’s input, “The Last Man on the Moon” has a warm and simple narrative, putting the lives of people ahead of the technology and politics of the Space Race. In a very real sense this is storytelling in a traditional and relatable sense without the pretentiousness of some modern day productions. The film looks upon Cernan’s life as it is now with a mirror on the past. 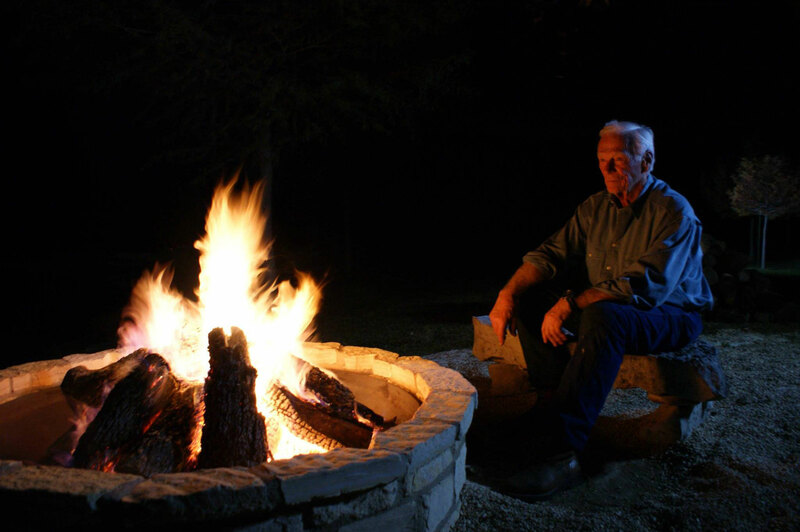 Settled and happy in his life as a rancher he is living a peaceful existence in the present, but occasionally his eyes wanders up to our constant companion in the night sky as he allows himself brief moments of reflection and memory. As he himself describes, the speed of thought transports him back to the surface of the Moon. After the noise and stress of landing the aftermath is the most peaceful, still and ultimately most quiet moment of his life. His life now echoes that pure serenity and the technical simplicity of his childhood growing up on his grandparents’ farm. While he still flies and has a pilot’s licence, he has achieved a balance, perhaps the best of both worlds. Using newly found archival footage, Mark Craig’s film weaves together a story; the history of Cernan’s early days, growing up in a blue collar family during World War II and developing a fascination with planes and his life as a young naval aviator. Memories and revisits. These are constant companions on the journey of this film sitting on the viewer’s shoulders as Cernan visits San Diego’s USS Midway recalling another earlier home, on the USS Shangri-La, one of his first postings. An air of invincibility and competitiveness pervades his earlier life as he jokes around with an old pilot buddy Fred “Baldy” Baldwin, but they both recognised the risks they took. As seen later on in the film, the constant danger of naval aviation was recognised by other Apollo astronauts who also rose up the aviator ranks with Cernan. Although the film is largely told from Cernan’s point of view, other dramatis personae from his life play a large role in this tale. 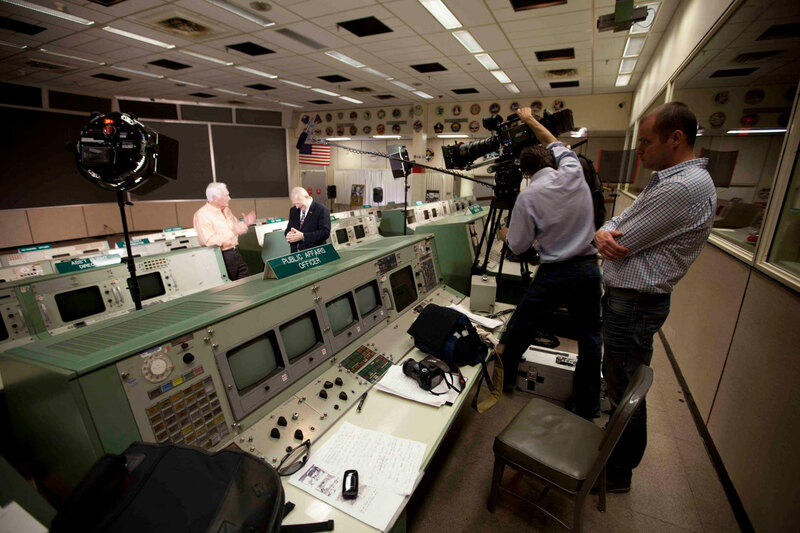 Naturally, key personnel from the Apollo era add to the recollections of that time, but somewhat differently to other retrospective NASA documentaries, people from Cernan’s personal life also have input giving a very fresh perspective. His first wife Barbara Butler candidly relates their early courtship and married life with daughter Tracy. Ordinary people’s lives take starring roles against the backdrop of the early Mercury and Gemini Program pioneers and JFK’s startlingly confident and ambitious “Moon” speech. A stylised 60’s vignette gives a light hearted interpretation of Cernan receiving the call to become an astronaut and the subsequent testing. Both Cernan and Butler describe the constant media attention and pressure to achieve as an astronaut selectee. The toll of these pressures on family life is also telling throughout the film. Cernan’s own spaceflight beginnings had a traumatic extended spacewalk. Expertly blending stock footage from Gemini 9 and CGI recreations, the viewer is placed into Cernan’s shoes experiencing his problems, an unsettling memory. The closeness of the NASA astronauts and families during this era is shown as he takes us on a journey down memory lane looking back over the 50 year history of the small community of NASA families in Nassau Bay, Houston. The families’ support of each other is still evident as the devastating losses of Gemini 9’s prime crew and the crew of Apollo 1 are still keenly felt. The pain is still etched in Cernan’s face as if he lost his friends yesterday. Apollo 17, the final landing on the Moon was the ultimate destination and moment of reckoning on his life’s trajectory. The film makers ably remind the viewers of the sacrifices made and the shoulders stood upon for these successes to be achieved. As Cernan toiled in the surreal peacefulness of the Moon’s surface, Craig’s film highlights the introspection Cernan felt then, as he does now about this exceptional experience and the overview effect that happened to him. His need to communicate this profound awareness for the sake of those that would follow and those he has followed is clearly felt as an obligation and this film helps to support that message. Since that time, Cernan has sought to recapture that apex and gone on to great heights as a public speaker. While his peers, family and friends have slowed down in their later years, he has pushed on out of a drive to relate his experiences, to communicate the importance of space exploration, STEM education and personal excellence but at some cost to himself. Only now, in his 80’s does Cernan entertain the notion of slowing down as he steps into his grandfather and family man role. Time with friends and family is as important as communicating his message. It seems like Cernan’s experience is a life well lived and spent, yet with an eye on the future he wonders how future generations will appraise his life and that of his fellow astronauts who went to the Moon. Speaking with director Mark Craig after the screening, he related his experiences during the making of this film. The lead time to build relationships and connections behind this documentary were key to its success. It took seven years from his first meeting with Gene Cernan to finishing the making of this film. 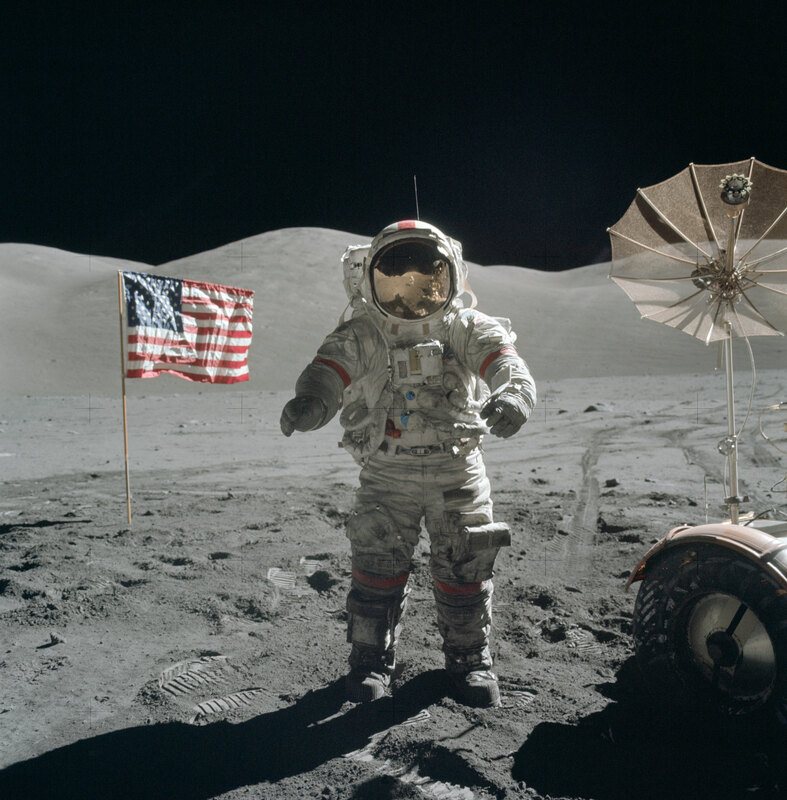 Recognising that the central theme is the story not the man, Craig was able to convince Cernan that this was a story that needed to be told so that the next generation of children know what they can do based on what Cernan accomplished in his lifetime. It is a testament to Craig’s skill as a director that his original vision from seven years ago has not changed. The finished product has not detoured from this central theme. This documentary has surpassed its high ambitions and judging by the warm reception received by audiences so far, it is cutting across viewer demographics and gaining much acclaim from critics. Lorne Balfe’s wistful soundtrack whispers across the screen like audio tumbleweeds as the camera lingers on NASA history of years gone by. Penny Holton’s restricted but masterful computer generated visual effects also lend enhanced authenticity and truth to the space visuals on screen. Presented in the IMAX format at London’s Science Museum, the film held up very well and was faultless in its presentation. Self-belief, tenacity, professionalism, verisimilitude and a “right first time” approach are the hallmarks behind this production, which are also mirrored in Cernan’s life. All of these qualities were later recognised by Cernan as he related how impressed he was with this film, which is a fitting legacy. Craig’s connection to the film and this event is a very personal one, as he remembers a childhood visit to see the Apollo 10 Command Module at London’s Science Museum with his late father. To be working with and documenting the life of one of the men who flew in that spacecraft is an honour. Producer Mark Stewart also reflected on the making of this film and recognising its unique story. A huge team effort, from the unseen archival footage, to the backing of investors and the space community, he also singled out his father, legendary racing driver Sir Jackie Stewart for his support in completing the film and telling this distinctive story. As the curtain came down on this special preview screening, Gene Cernan stepped up to a standing ovation and was moved by the reception received. He reminded everyone in the audience that this is a story that counts for all. Those who voyaged to the Moon were the tip of the arrow; the strength behind the bow in meeting Kennedy’s challenge was almost half a million people committed to do what most people thought wasn’t possible and couldn’t be done. With steadfast belief he stated that we will return to the Moon and go on to Mars. And that this generation’s children and grandchildren all over the world will take us back (to the Moon). We have one responsibility, to give them this opportunity. At the time of going to press, “The Last Man on the Moon” has received preview screenings in the UK and official release dates will be forthcoming. Stay tuned to the below links for further updates.